Many Americans struggle to pay off stifling credit card debt. Is there an easier and faster way to get out of the red? Almost two in five U.S. households carry a balance on their credit cards. The average debt load for those who roll balances from one month to the next is a staggering $16,048, according to a ValuePenguin’s most recent analysis. That’s a lot of Benjamins to owe, and for many, it may seem insurmountable. But there are several strategies to pay down that debt. Choosing the best one depends on your discipline, credit history and circumstances. One way to get all of your debt in one place is to put it on one card with zero interest for a set time. There are several balance transfer cards available for this purpose. Pros: The no-interest rate is by far the biggest reason to transfer balances. These cards apply no interest on balance transfers and new purchases for between six months and 21 months, depending on the card. That’s a good chunk of time to pay down debt without worrying about any build-up in interest. Cons: There are a handful of drawbacks. The most obvious is the limited-time, no-interest period. You must pay down the debt before the introductory period expires, along with any other purchases you make on the card over that period. If you fail to do that, you may be charged retroactive interest on any remaining balance, at a rate that could easily be higher than you pay on your regular credit cards. Check the fine print for details. Further, you need to factor in the balance transfer fee, which is typically 1% to 3%. The fee is typically minimal compared with the interest you would otherwise pay on your outstanding balance, says John Jones, credit expert who formerly worked at different credit bureau, a credit scorer and leading credit agency, respectively. But it’s worth considering when comparing other options. Your credit score will likely take a hit, too, because you’ll be close to maxing out a new card with the transferred debt—a FICO no-no. “That’s never a good thing, but the battle you’re fighting at this point is interest,” Jones says. Who is it good for? You must have good credit, generally a 700 FICO score or higher. If you regularly make late payments or have delinquent accounts, then, this option isn’t for you, since you likely won’t qualify. Personal loans are a popular option. Last year, they were the fastest-growing type of loan. Nearly every mainstream, reputable bank and credit union now offers them. Even Discover, a traditional credit card issuer, has gotten into the game. But is it right for you as a way to reduce your debts? Pros: Expect your credit score to improve. Why? Because too much revolving debt—also known as credit card debt—increases your utilization rate, or the percentage of available credit you use. That, in turn, hammers your credit score. But a large amount on an installment loan—like a personal loan—doesn’t factor into the utilization rate, and so doesn’t hurt your score. Cons: The biggest downside to personal loans is that you’re still paying interest on your debt. That rate can range from 10.3% for excellent credit (720 FICO score and above) to 32% for poor credit (639 FICO score and below), according to www.moneybrag.com analysis. But the lower end of that range is likely a lower rate than you’re paying for carrying a balance on any of your credit cards. Who is it good for? 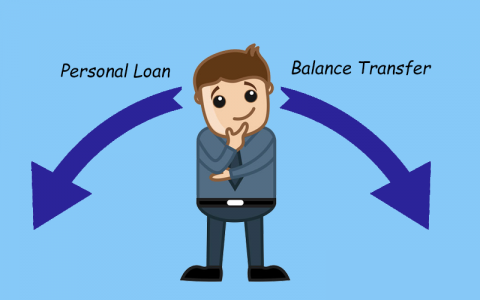 Personal loans are available for people with all kinds of credit, but your credit score will affect the interest rate on your loan. Those with plenty of equity in their residences can tap a home equity line of credit (HELOC) or home equity loan to consolidate and pay off debt, says Jones. These types of credit are backed by your house and can put your home at risk of foreclosure if you don’t keep up with payments--a major potential drawback to a HELOC, obviously.